Attention Deficit Hyperactivity Disorder (ADHD) is one of the most common mental illnesses that occurs in children. Children that have ADHD tend to have difficulty paying attention, controlling impulsiveness, and also experience over-active behavior that many people mistake as “acting out.” While it can greatly affect the child’s ability to learn as well as his/her behavior, ADHD is treatable condition, and there is a selection of ADHD medication for children. ADHD Medication for Children: What are the choices? There are a number of medications for ADHD that have proven effective in treating the disorder. While there isn’t a cure for ADHD, there is a way to treat the symptoms. 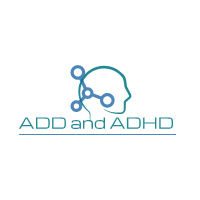 Depending on the child and what they react to, one of two key types of ADHD medication are normally prescribed: Stimulant Medications (Long-acting stimulants and short-acting stimulants), and Non-Stimulant Medications. There are also instances when medications that are normally used to treat other conditions are prescribed to teat ADHD. Stimulants are the most commonly prescribed ADHD medication for children. Ritalin, Adderall, and Dexedrine are all examples of stimulant medications. Stimulants work by increasing the production of dopamine, a neurotransmitter in the brain that is responsible for triggering pleasure, movement, motivation, and attention. Since all of these are often things that children with ADHD struggle with, stimulants are a fast-acting treatment method. Attention levels and concentration are both increased while hyperactive activity and extreme impulsiveness are decreased. There are two-sub stypes of stimulant medications: short-acting and long-acting. Short acting stimulants reach their peak of effectiveness after just a few hours and need to be taken several times a day. Because those with ADHD have a difficult time with memory, the alterative type of stimulant medication, long-acting is preferred. Long acting stimulant medications last much longer and are only taken once per day. Both forms of stimulants have the same ingredients, the difference is how they’re released into the body. Problems sleeping: Sleep problems most often occur in children who are on the extended release or long-acting types of stimulant medication. You can try having a routine bedtime schedule that includes calming activities like a bath, reading a story, and/or warm milk. If you aren’t able to intervene with the problem, then your doctor may prescribe a lower dose of the medication, or decide to provide a short-acting stimulant instead. Decreased appetite: You may notice upon taking the first few doses of their medication, the child may not be hungry or not want to eat. It’s important that they maintain a healthy diet. If this side effect doesn’t go away with about a week or two, then you should contact your health provider. Tic Development: A “tic” is a repetitive movement – such as an eye twitch or a tongue click, for example. If the child develops a tic that was not there prior to beginning the medication treatment, then you should speak with a medical professional as soon as possible. Personality Changes: The personality changes that occur with ADHD medication shouldn’t be confused with “helpful” modifications. That is, if the child experiences impulsive commenting or outbursts and these instances decrease, then this wouldn’t necessarily be something that should spark concern. However, if the child suddenly begins to respond with a distant or “flat” personality, then you should absolutely consult a doctor. Dangerous side effects: While just as with any medication, some side effects are routine, there are a few that if they occur, you should seek medical attention. If your child experiences chest pain, faints, hears or sees things that are not real, has shortness of breath, or experiences episodes of paranoia, then these are adverse and you contact your doctor immediately. Alongside the side effects, there are a few additional health risks that you should be aware of. • Brain development – When treating ADHD in children, the concern rises that the medication could affect the normal brain development. Because the brain continues to develop throughout childhood, researchers worry that taking stimulant medication could affect the development long term. Children with ADHD already are believed to have slower maturation where the brain is concerned so adding additional delays could be very detrimental to their overall development and wellness. • Pulmonary (Heart) Issues: In cases where children have heart conditions, there have been instances in which death has occurred. The AHA, American Heart Associates strongly recommends that any person child or adult, going on stimulant medication should have a full cardiovascular analysis and evaluation. If there is a history of heart disease or issues in the family, an electrocardiogram may be ordered, or the person may be instructed not to take stimulants as a treatment. • Risk of Dependence – Currently, a number of people who do not have diagnosed ADHD rely on the medications for a quick “high”. Not only that, recreational use of Adderall and other stimulant drugs has seen an increase particularly in college students who have the added stress of testing, homework, and other school-related anxieties. Others take the drug for its weight loss properties. The body will eventually build a tolerance to the drug and there is a great risk of addiction and dependence. There is only one non-stimulant drug that is currently approved by the FDA for treatment of ADHD: Strattera. While stimulant drugs promote the increased production of dopamine, non-stimulant drugs increase the production of a different neurotransmitter, Norepinephrine. Norepinephrine increases the amount of oxygen to the brain, enabling sharper thinking and attention span. Strattera is also prescribed for depression, which makes it a good choice for children who have pre- existing anxiety or a family history of depression and mental illness. While stimulants can cause tics, non-stimulants do not affect Tourette’s Syndrome symptoms. Additionally, Strattera is a long-lasting medication that is taken less often than short-acting stimulant drugs. This is a great option for children who might have difficulty remembering to take medications throughout the day. The flip side is that Strattera isn’t as effective in treating hyperactivity when compared to stimulant medications. There is a small instance where insomnia and decreased appetite are reported, but these are more likely to occur when taking stimulant medications. If stimulants or non-stimulants are not an option or provide more risk than the promise of help, other medications have shown to be effective in treating some of the treatments of ADHD in children. High Blood Pressure Medication: While medications that are used to treat high blood pressure have been effective in treating impulsive behavior and aggression, they are not as helpful when it comes to helping with focus and concentration. Antidepressants: In cases of ADHD, there is also an increased occurrence of there also being underlying depression. Antidepressants work by controlling the production of several neurotransmitters in the brain, so they are an option that can treat both ADHD and Depression simultaneously. The most common antidepressant prescribed for both ADHD and depression is Wellbutrin which targets the two neurotransmitters that both stimulants and non-stimulants affect: Norepinephrine and dopamine. Whenever your child is prescribed medication for ADHD, it’s important that you be very aware of the side effects that may arise. Your doctor or medical professional will likely go over everything with you, however, be sure to read the ADHD medication guide to have a complete understanding of the potential risks. While medication can be very helpful in treating the symptoms of ADHD, the best results of symptom relief come from a combination of medication and behavioral therapy. Your child may have their ADHD long term, and it’s important that they develop healthy coping mechanisms as well as behavioral tools that can help them when their bothersome symptoms arise. Many children go on to have very successful lives and decrease their dosage of ADHD medication, or even eliminate it after a period of effective behavioral therapy. There is no one test that can diagnose ADHD. It typically takes the observance from a pediatrician as well as a psychologist to determine if all of the factors and symptoms are present.